Smoking creates all sorts of oral health and aesthetic problems. That’s probably not news to you, but we at Elite Dental Arts in Midtown are interested in new research that shows smoking has other dental effects that were not previously understood. One of those effects is the suppression of the immune system in dental pulp, which could put patients at risk for recurring toothaches. Dental pulp is highly sensitive and can become inflamed in response to injuries or infections. When tissue is inflamed, it becomes more permeable to antimicrobial peptides. These tiny acids latch onto invading bacteria and kill them, making them a crucial part of the immune system. But new research has shown that smokers lack antimicrobial peptides in their pulp, meaning that infections are able to last longer and are harder to treat. If left untreated long enough, a pulp infection could develop into a facial abscess and cause sepsis. Root canals are the standard treatment for pulp infections, but there’s a possibility that some bacteria could be overlooked and cause the infection to return. An infected tooth may ultimately have to be pulled and replaced with an implant or partial denture. Although we provide high-quality prosthetics at Elite Dental Arts, we hope our patients will take this research as additional inspiration to avoid smoking. At Elite Dental Arts, we have different treatment options for our patients that are looking to improve their smile. No matter how well you brush your teeth, discoloration can happen over time if you consume too much sugary and acidic foods. To improve your smile we offer teeth whitening, bonding, and porcelain veneers and crowns. Whitening your teeth can make your teeth 4-8 times whiter and tooth bonding is an adhesive that we use to improve the appearance of the discoloration on your teeth. We also offer porcelain veneers and crowns that protect your teeth from damage. Teeth discoloration occurs when your tooth’s enamel wears off. We encourage our patients to avoid using tobacco and follow a well-balanced diet with plenty of water to prevent discoloration. 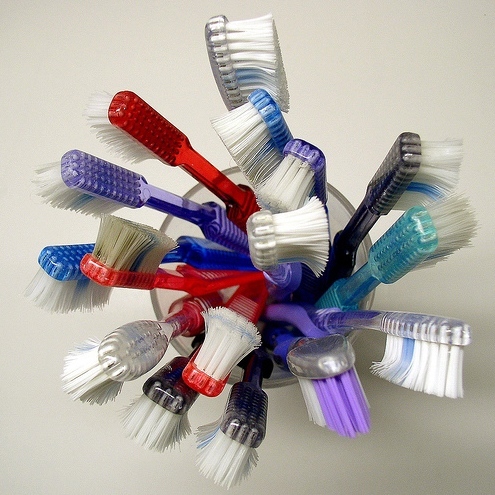 Brushing and flossing twice a day decreases your chance discoloration. Don’t forget to make an appointment with us twice a year to keep your teeth healthy. We want you to have the best and brightest smile! To learn more about all of the services provided at the practice, visit www.elitedentalarts.com for more information. To schedule an appointment with Dr. Nick Mobilia at Elite Dental Arts in New York, NY, call 212-681-0939. Doctors Nick Mobilia and Harvey Grossman of Elite Dental Arts in Midtown are experienced providers of oral surgery. This makes our practice one of the most suitable for patients who need to have teeth replaced. Although it is our goal to save natural teeth whenever possible, there is one situation in which extraction is usually the best choice: when adults retain baby teeth. 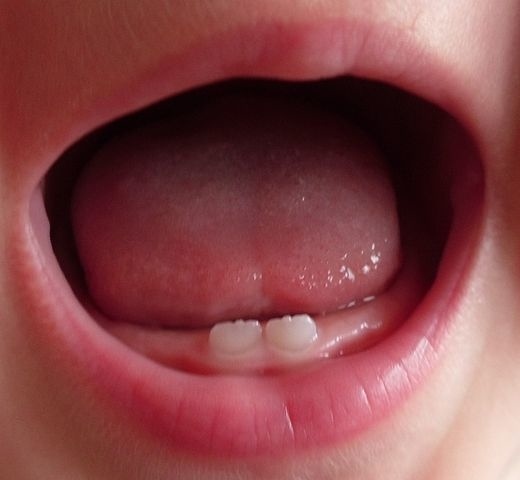 Normally, the roots of baby teeth dissolve as adult teeth erupt. The baby tooth falls out and is replaced by the adult crown, possibly with some overcrowding. But the baby tooth may never fall out if no adult tooth ever develops. This is rare, nut most often occurs in the upper lateral incisors. There are also cases in which the incoming tooth never pushes out the baby tooth because one of them is misaligned, as sometimes happens in the lower central incisors. “Retained deciduous teeth,” as baby teeth in adults are scientifically known, can create a health hazard in addition to looking displeasing. They are often misaligned in a way that makes them difficult to clean or chew comfortably with. Extracting them is usually a simple process, but orthodontic work or false replacements may be necessary to finish a patient’s treatment. At Elite Dental Arts, we advise parents to start taking care of their children’s teeth at a young age. This February is National Children’s Dental Health Month, which stresses the importance of kids developing a good relationship with oral hygiene. Tooth Decay is the leading chronic disease among children despite it being controllable. When your children’s baby teeth first come in, you should brush their teeth with a soft-bristled toothbrush and a dab of toothpaste. Children’s baby teeth act as placeholders for their permanent teeth so keeping them clean and cavity free is important. When your child is capable of brushing properly on their own, we encourage you to show them how to floss and get all of the access food and bacteria off. Regardless of how well your children brush, we want all of our patients to follow a healthy diet. A diet that consists of plenty of vitamins and nutrients will help your teeth to be clean and healthy. Don’t forget, bringing in your children for a cleaning twice a year will help ensure their teeth are clean and developing as they should. We want all of our patients to have the brightest smile! To learn more about children’s dental health and all the services provided at the practice, visit www.elitedentalarts.com for more information. To schedule an appointment with Dr. Nick Mobilia at Elite Dental Arts in New York, NY, call 212-681-0939.